Includes "The Perfect Life" and "A Case for Shame"
Moby is one of the most innovative and individual forces in electronic and popular music today. He has sold more than 20 million albums, headlined Glastonbury, and is back with arguably one of the best albums of his career, Innocents. 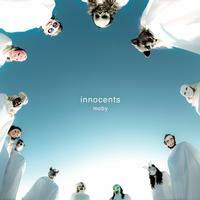 Moby chose to make this record with a stellar cast. For the first time in his career he worked with an outside producer, friend Mark Spike Stent, whose résumé includes Madonna, U2, Muse, Björk, and Massive Attack. The list of eminent collaborators on Innocents includes Wayne Coyne (The Flaming Lips), alt-rock legend Mark Lanegan, Cold Specks, Skylar Grey best known for co-writing and performing on Eminem and Rihanna s Love The Way You Lie; indie-folk singer Damien Jurado, and Inyang Bassey who was the vocalist on "The Right Thing" from Destroyed. He has named them the Innocents.